There are approximately 1,350 Federal Depository Libraries throughout the United States and its territories, at least one in almost every Congressional District. Hewes Library at Monmouth College serves the 17th Congressional District of Illinois. We provide free public access to a wide variety of Federal government information resources in both print and electronic formats, and have expert staff available to assist users. Monmouth College was designated a depository in 1860 and we currently select roughly 16% of all documents published by the Government Printing Office (GPO). Today, many items are recieved electronically and are available freely via the Hewes Library Catalog. Older Government Documents are located on the Lower Level of the Hewes Library next to Bound Periodicals. Please feel free to visit the Library or contact a librarian with any questions regarding government documents: (309) 457-2301. Print items are located on the Lower Level, on the shelving with the tan endpanels. CD-ROM items are located on the Lower Level, at the end of the print government publications. Ask a librarian for assistance in using CD-ROMs. Microfiche items are located in the Microforms Area on the Main Level, near the Reference Desk. Two reader-printers are available, which print for ten cents per page. Online documents may be accessed from any of the Library's computing facilities, or for that matter, from any internet-accessible computer. Items published before 1994 can best be found with our print shelflist, located in the wooden card catalog on the Lower Level, near the end of the Government Documents Collection. 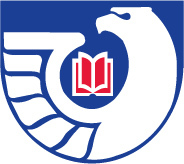 Items published since 1994 can best be found with the Hewes Library Catalog. Items published since 1976 can best be found with the online database GPO Monthly Catalog. Today, most government bodies produce documents electronically and are available to the general public for free online. If you need more information, please contact a librarian at (309) 457-2301. Provides public access to government information submitted by Congress and Federal agencies. The Congressional Record is the official record of the proceedings and debates of the United States Congress. Coverage: since 1995. Updated daily. Official website for U.S. federal legislative information. Provides complete legislative information, searchable by keyword, law number, and other filters. Congress.gov supersedes THOMAS system. Coverage: 1973-present. Congressional documents from the first 100 years of the U.S. Congress (1774-1875) can be accessed through A Century of Lawmaking. The Federal Register, published daily, contains the rules, proposed rules, and notices of U.S. Federal agencies and organizations, executive orders and other documents produced from the Office of the President. Indexes all print publications of the United States Government Printing Office (GPO). Coverage: since 1976. Updated monthly. Also available freely on the web. The United States Code is the codification of the permanent laws of the United States by subject matter. Online, freely accessible compendia of statistics from Federal Government Agencies. The U.S. Census Bureau terminated publication of this series, and the last online volume available is 2012.